Wow, September has come to an end! I feel like it went by so fast! I'm very excited that October is here. 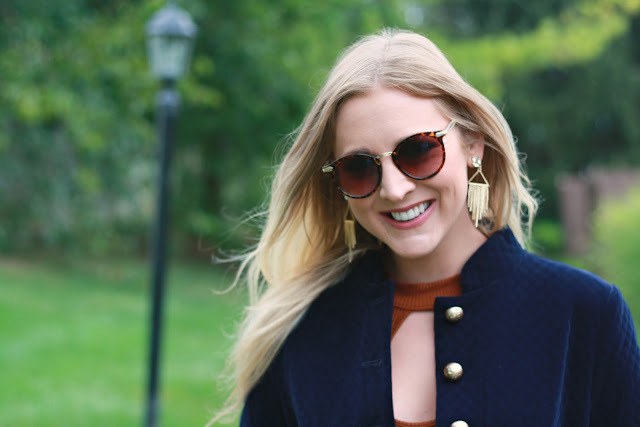 I hope you've had a great fall season so far & hope you enjoy this month's style recap! This Zaful gray sweater is seriously so amazing. Some people have told me it's sold out on the site! I'm so sorry if you tried to get it and it was sold out. I'm hoping they'll restock it soon! If you wanna see the entire look details, check here. I've been loving turquoise jewelry & I've been loving ring sets. I just recently got 2 ring sets from Zaful and I'm so happy with them! The ones above ^^^ are one of those sets! This necklace is one of my favorite Rocksbox finds ever! That detail is so pretty! to get your first set free! Fall is all about the denim!!! All of my favorite pairs from last year are a little tighter this year haha. I love a good pair of jeans and a basic top. It's the perfect combination for accessorizing! I've been wearing this Rosegal black tee nonstop. Still pumped that I found this feather necklace for $1! I'm still on that velvet train. I love velvet everything. 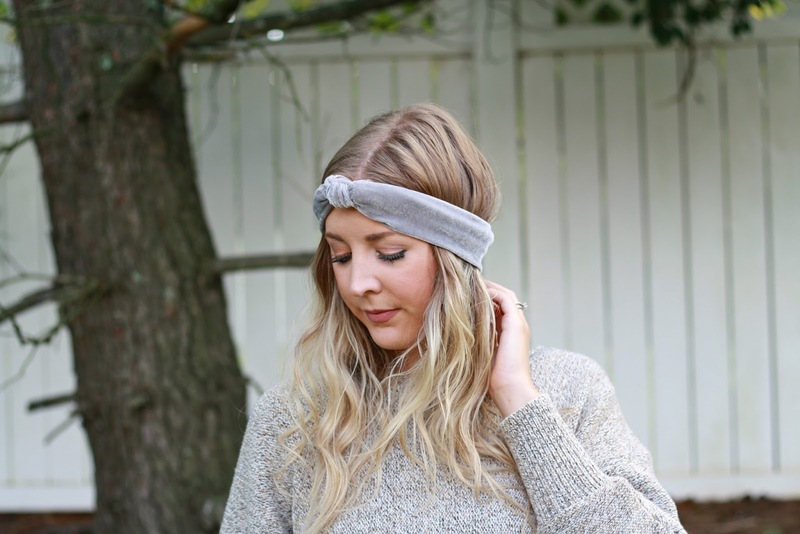 I have a gray & a black twist-front head wrap that I've been wearing a lot! This Rosegal necklace ^^ is $2! 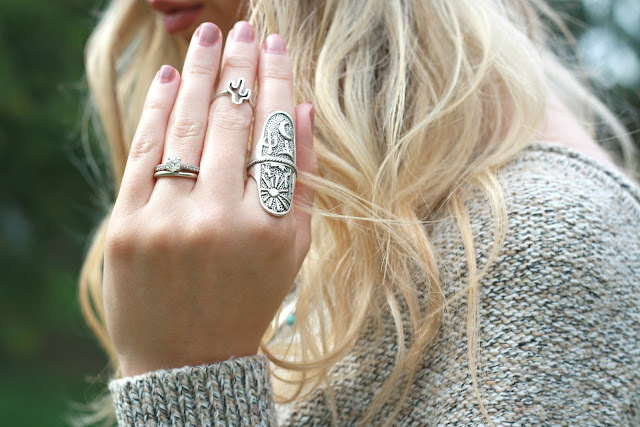 These Zaful cactus rings are the best rings I've seen in a long time! I want to buy them for all of my friends. 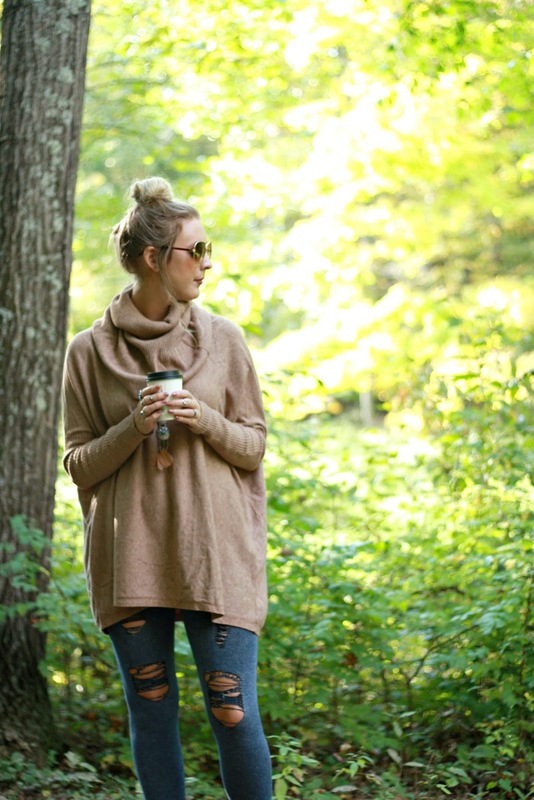 This Rosegal loose turtleneck sweater is the coziest thing ever! I love it's color and it's design. If you wanna see all the details from this look, click here! 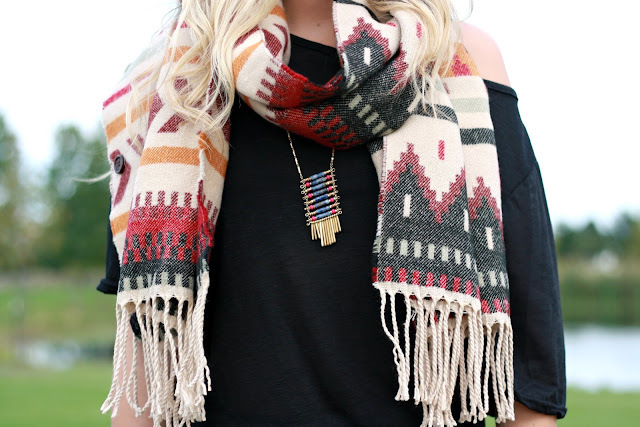 This BEARPAW scarf is my absolute favorite scarf I own! 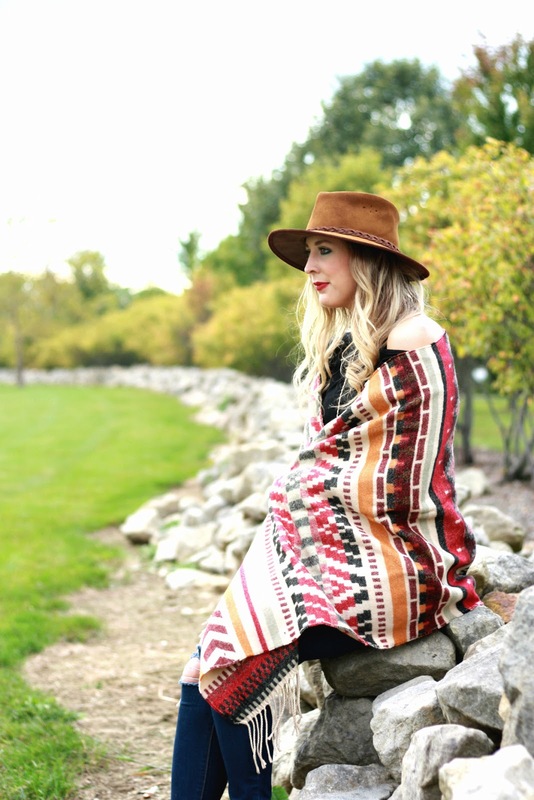 The colors, the print, just all of it's so lovely + perfect for fall! 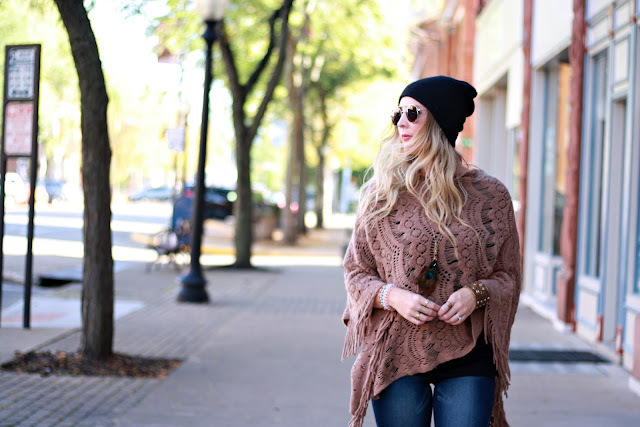 I'd been looking for a new poncho for the fall/winter season and this Rosegal shawl poncho did not disappoint! To get all the outfit details from this look, just click here! These are my first BEARPAW fall shoes that I've shown on my blog! 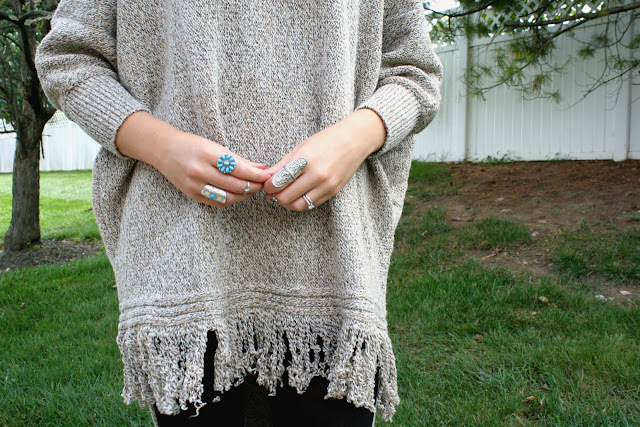 These "Haille" style are so so cute! They're so comfy that it feels like you're wearing slippers. 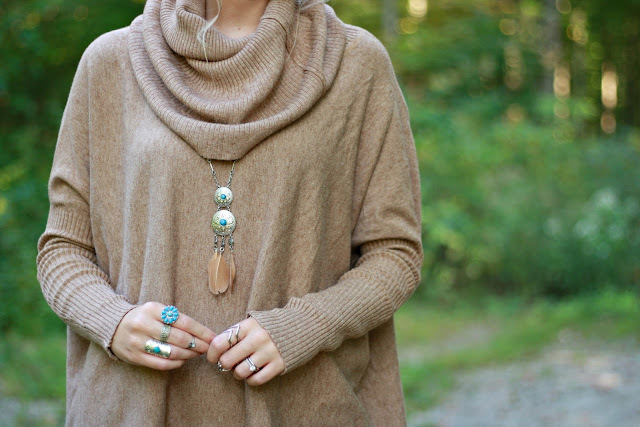 I love that slouch detail! I'm in love with this STYLEWE coat! It feels so glam it's royal blue color & all the gold buttons! For all the outfit details, go here! These gold beauties ^^^ were in my current Rocksbox set! I love statement earrings. I've always gravitated towards bigger, bolder pairs. The color of this Zaful red sweater is one of my most favorite colors to wear! I think a warm red looks so beautiful with every skin-tone and hair color. & You just feel pretty wearing it! For outfit details, go here! 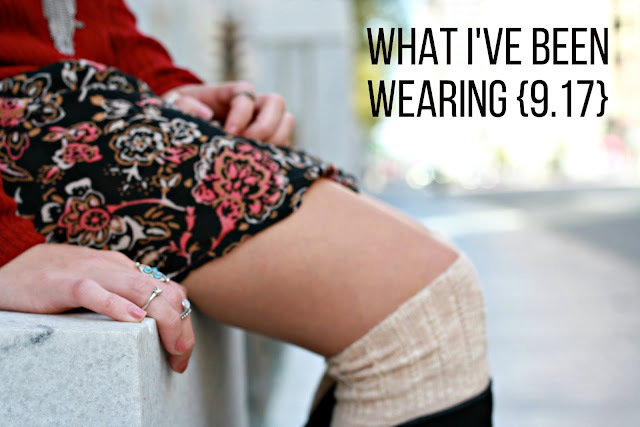 I've really been into wearing socks with my boots this season! A good over-the-knee sock looks so chic in colder temperatures. 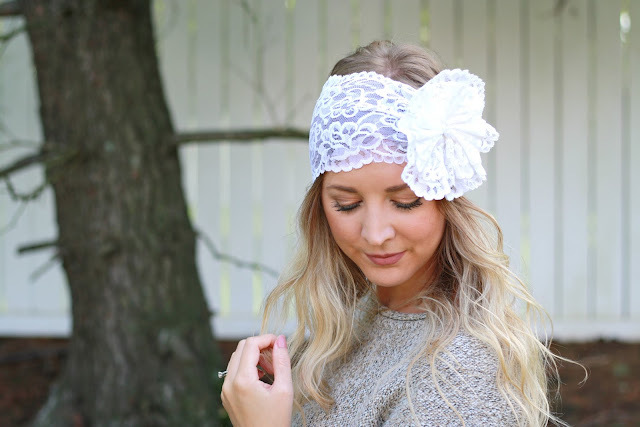 I got this lace head wrap in white and in brown! I love it's '20s vibe. I plan on wearing the brown one a lot in the next couple of months! What have y'all been wearing lately?! I waited, waited for the Lord who bent down and heard my cry. *I've received product from BEARPAW, Zaful, Rosegal, STYLEWE. All opinions are 100% my own. Thank you for supporting the companies that support BG by Christina!